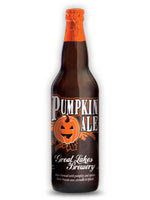 With an emphasis on local and autumn, Great Lakes Brewery is set for the harvest season. The tanks are full of Pumpkin Ale in anticipation of another bumper year of Pumpkin ale drinking. Bottles and kegs should be rolling out next week. This year's peach harvest was super juicy and we've squeezed every last drop into this year's batch of Sweet Pete's Peach Wheat. As part of the Harvest selection at the LCBO we packed peaches from Puddicombe Farms & Winery in Winona Ontario and hops from The Hop Farm in Meaford Ontario directly into the brew to give you the freshest and tastiest local flavour. We are pretty sure these are to be a hit. Get them while you can!